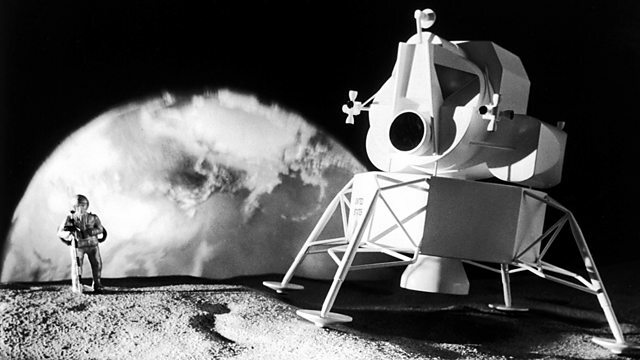 Brian Cox uses the BBC archive to examine the story of man's relationship with the moon, from James Burke testing out Nasa equipment to Neil Armstrong's giant leap for mankind. Professor Brian Cox takes a look through nearly 50 years of BBC archive at the story of man's relationship with the moon. From the BBC's space fanatic James Burke testing out the latest Nasa equipment to 1960s interviews about the bacon-flavoured crystals that astronauts can survive on in space, to the iconic images of man's first steps on the moon and the dramatic story of Apollo 13, Horizon and the BBC have covered it all. But since President Kennedy's goal of landing a man on the moon before the end of the 1960s was reached, no-one has succeeded in reigniting the public's enthusiasm for space travel and lunar voyages. Why? On his journey through the ages, Professor Cox explores the role that international competition played in getting man to the moon and asks if, with America no longer the world's only superpower, we are at the dawn of a bright new space age.